The Original Welding Body, built for the mobile welder. Our Welding Bodies feature storage space for your compressed gas bottles and hoses, equipment compartments, and custom configurations for easy access to your welder controls. Designed with the end-user in mind, any size welding body can be easily customized compartment by compartment. 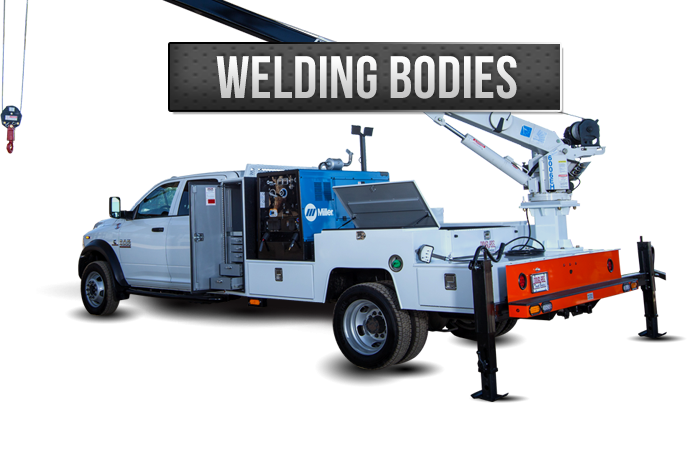 View our Truck Body Gallery for a sample of the thousands of standard and custom welding bodies we’ve tailor made. Each Truck Body page details the unit’s specific Equipment and Features. Check out our Equipment Gallery for a sample of the welders, equipment and accessories we offer. When you’re ready for your unique quote, drop us an email or give our experienced sales team a call.